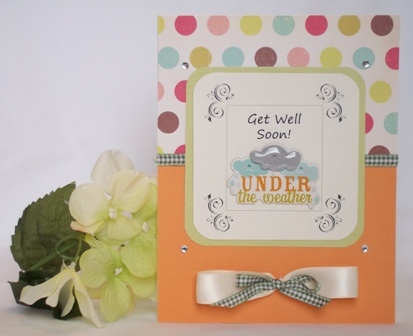 For your get well soon hand made card ideas, look for sympathy themed stickers. 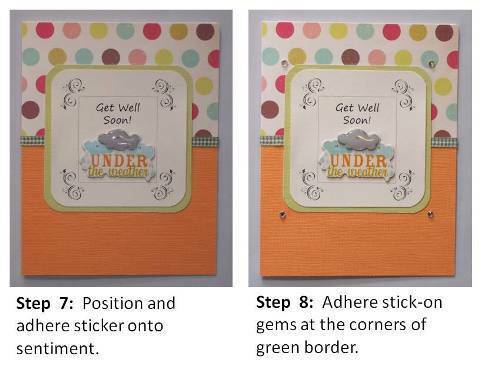 Make fun get well cards with the perfect sticker and pretty ribbon. 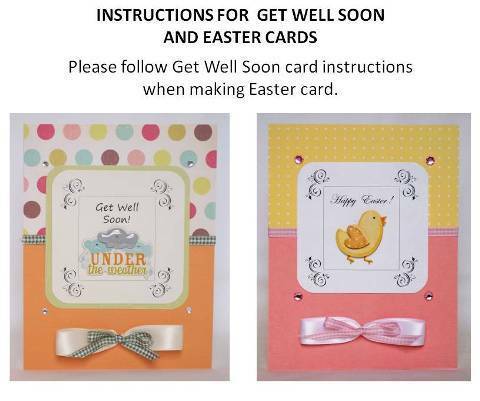 Stickers for get well cards aren't as popular as stickers for other themes so check the sympathy section in the sticker isle when your are looking for inspiration for your homemade greeting card ideas. The sticker I found was a cute cluster of clouds that had "Under the weather" printed on it. 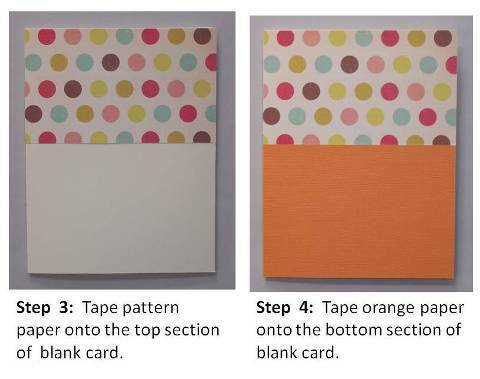 I used the colors in the sticker to help pick the color palette for the card. 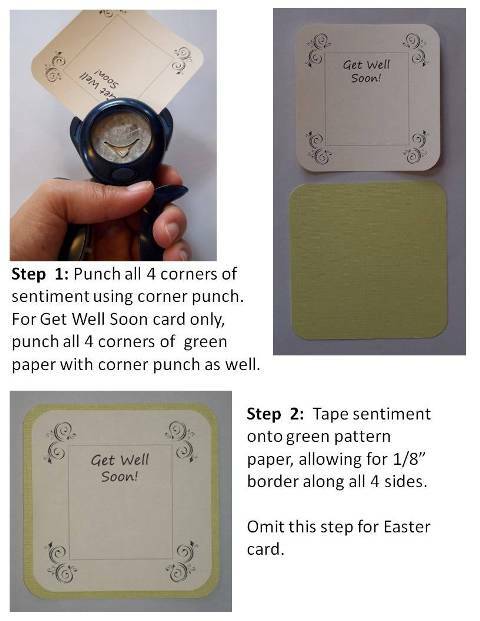 For your paper card making ideas, use a corner punch to help create a border around the sentiment. First I designed the sentiment section on my computer. 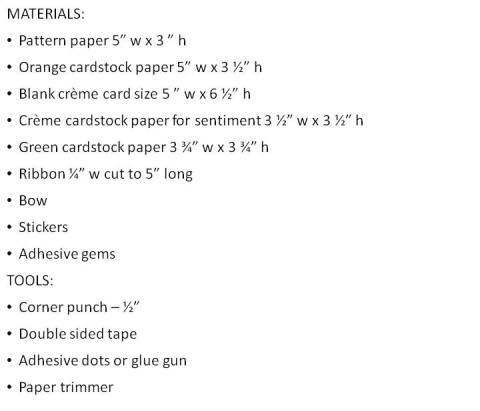 Then I printed it out and rounded the corners with a half inch corner punch. 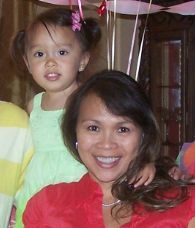 Afterward, I cut a piece of cardstock paper 1/4" larger than the sentiment so it created a border. 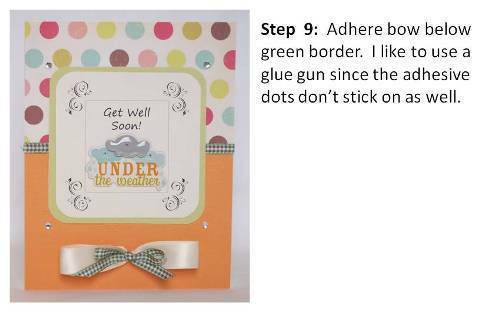 When I think about ideas for handmade cards, like this get well card, I usually incorporate ribbon. 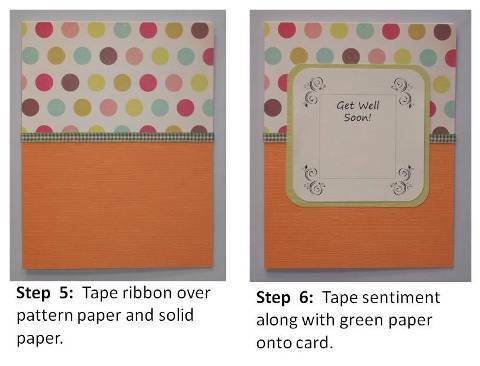 Ribbon helps tie all the colors together and helps make the card complete.